The National Farmers’ Union in Scotland has called on local authorities in Edinburgh and the Lothians to cancel a proposed sky lanterns festival from taking place in or around the Scottish capital in the coming months. 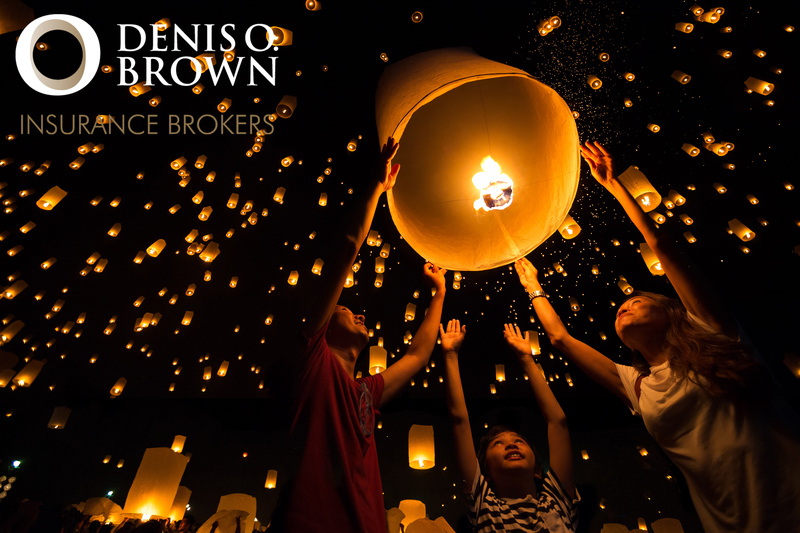 The planned event is organised by an American company, The Lights Fest, who run similar events across the United States where thousands of people come together to release sky lanterns into the air. The company is currently inviting Scots to pre-register for a planned event in the Glasgow/Edinburgh area and a week ago posted a Facebook post and video claiming an event in the Edinburgh area was coming soon. Sky lanterns are banned in a number of local authorities in Scotland due to the risk they pose to local environment and wildlife, as wire frames from the lanterns can contaminate forage crops which are later fed to animals, while the bamboo frames can splinter causing serious injuries if ingested. The candles themselves also pose a fire risk to standing crops, stacks of hay and straw, woodland and farm buildings. England & Wales animal welfare charity, the RSPCA, are against sky lanterns and have had the following incidents involving wildlife reported: A foal had to be put to sleep after his legs were so badly injured from bolting through a fence having been terrified by a lantern; Holly, a nine-month-old goat died after the frame of a lantern punctured her throat; A farmer in Chester told how a cow died when the wire from a sky lantern punctured her oesophagus after ingestion, saying “in effect she spent a long, painful 48 hours suffocating on her own feed.”; A barn owl died having become entangled in a lantern frame. Morven Peebles, a farmer and horse-owner in north-east Fife, said: “The most dangerous thing from our point of view is if these lanterns were to come down onto a hay shed and set fire to it, or any building with a straw roof. There have been incidents where these lanterns have come down where horses or animals are grazing and have been eaten. There are also some horrific images online of lanterns setting fire to a horse. “We have spent countless hours designing our unique lanterns, and we have multiple styles and sizes for us to choose from. We know the burn time for each style lantern we have. Through many trials and testing, we are able to predict how far a lantern will travel, considering factors such as burn time, humidity, temperature, wind direction and speed. We select the perfect lantern style for each event, based on the venue and weather conditions. We have purposely reduced flight time for our lanterns to be able to bring this magical event to areas that this would otherwise be unavailable.